This article has 6 pages. You're on page 6. 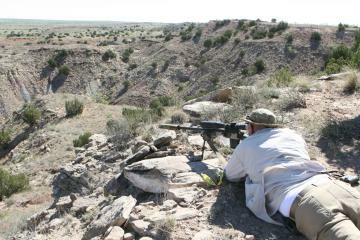 Air Force shooter Tom Freeman engages targets with his Accuracy International chambered in 6CM on the South course. Photographer William Snyder took photos at the 2010 match. Here's a link to his album. 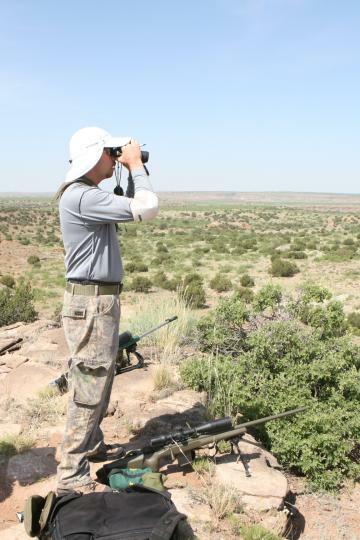 The geographical features available to shoot from at the Steel Safari can be breathtaking. 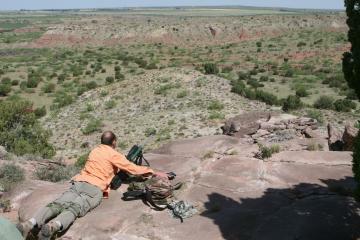 Shooter Austin Angus engages targets from a cliff face. 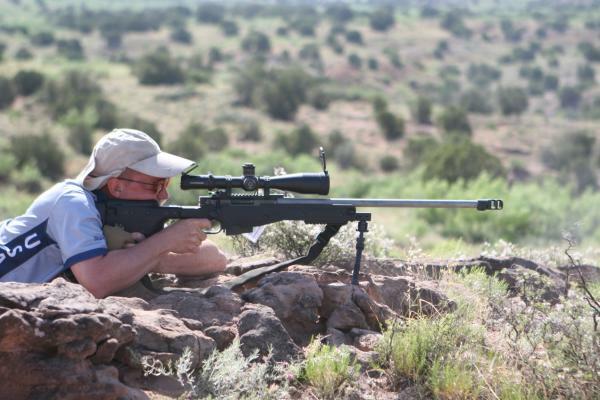 The ability to stand and see targets is critical to success at the Steel Safari. The geographical features at the Blue Steel Ranch can be breathtaking.